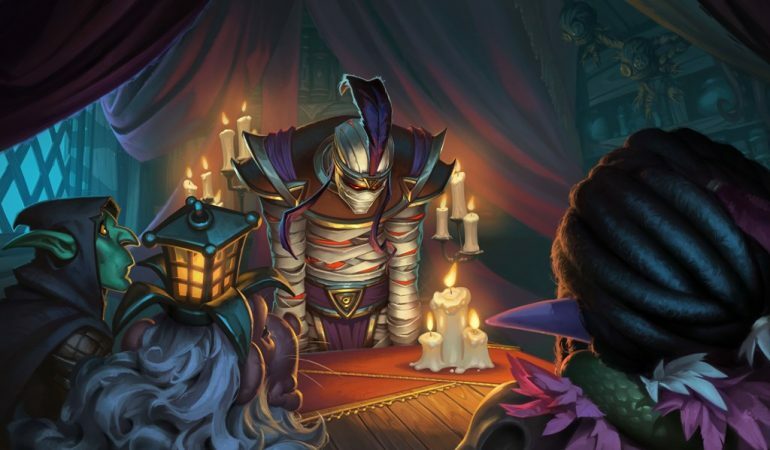 The next card coming to Hearthstone in the Rise of Shadows expansion pack has been revealed ahead of its official release on April 9. 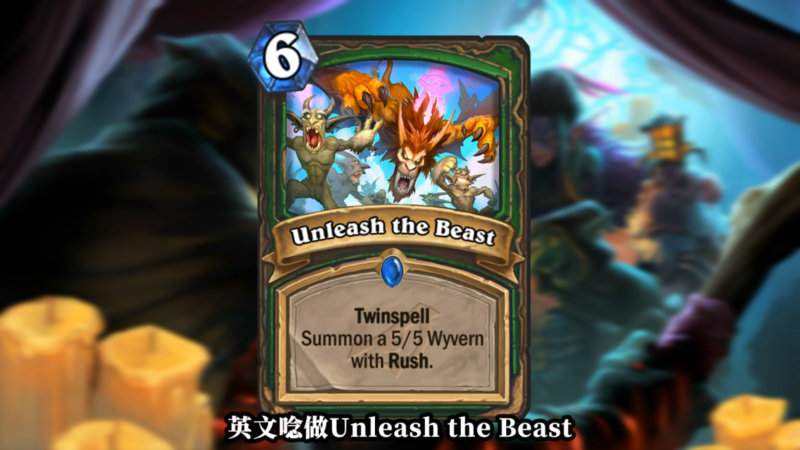 This card is Unleash the Beast, a Twinspell Hunter card that costs six mana and summons a 5/5 Wyvern with Rush. This was the second card unveiled today and it was revealed on Mr_Wuco’s Twitch channel after the streamer finished playing a few online games for his fans. The first card reveal of the day was a brand-new card for Paladin decks called Lightforged Blessing, a two-mana Twinspell card that gives any friendly minion Lifesteal. That reveal was accompanied by an impressive music video for the card, so it really would’ve been tough for Mr_Wuco to top that with the reveal of Unleash the Beast. Pre-purchase bundles are available for this expansion—the cheapest one costs $50 and comes with the expansion and 50 packs, while the Mega Pack will set you back $80. Rise of Shadows is set to be released on April 9.